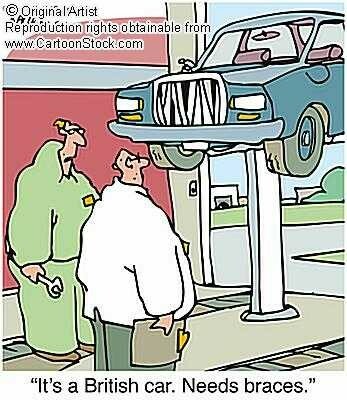 It is important to maintain your car in regular intervals, not just when something breaks. Having your car inspected periodically and doing preventative maintenance can not only save you an unexpected break down on the side of the road, but can also save you money by preventing further damage or wear, or even save your life when it comes to safety items, like brakes. Click on the "Maintenance/Service Recommendations" link to read about suggested maintenance. In addition to knowing what to do and when, it's also important to have a basic understanding of the parts and systems that comprise your car. Click on the "Know Your Car" link to get a basic overview of what your car's all about. Your car's warning system is only useful if its warnings are understood by the driver. Some symbols are obvious, but others can be misleading or downright confusing. Click on the "Warning Lights" link to see a list of common warning lights.